I apologize for not posting much this week. The Ann Arbor Area Market has heated up and we have been really busy. I received offers on 5 of my listings and wrote 2 contracts for buyers. That is a lot of negotiating. 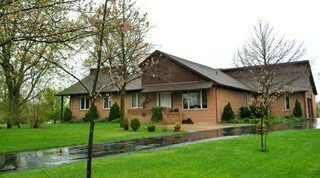 My team leader Pat Anderson will be holding an OPEN HOUSE tomorrow in Saline at 7360 Fosdick Rd. between 12:00 and 2:00. This is a great home and located on 3 plus Ac. close to the schools yet peaceful and quiet. Set back off Fosdick with a driveway of gorgeous pine trees. Perfect setting. The unique thing about this home is that there is a private entrance, with a bed, bath and sitting area for nanny quarters or mother in law suite. Gorgeous private country home with natural setting, mature trees and large garden. Brick ranch features newly remodeled luxurious slate and marble bath with large master-sute including a sitting area. Kitchen with generous eating space opens to family room with fireplace and brick hearth. Large windows with Southern exposure for lots of light. Home office/in-law suite with bath & office, studio/craft space. 1100 square foot bonus area on 2nd floor, wired, plumbed for 1/2 bath. Hardwood floors in foyer, kitchen, nook and family room. 9 ft. lower level ready to be finished. Hot tub on large private deck. Storage building.